Free Until August 26th for Kindle! Hello everyone! I hope you all had weeks that were better than the thought of "The Princess Bride" reenacted by neon painted termites! Well I have some rad-tacular news for you all! To promote my upcoming book, "Life is a Pirate Ship Run by a Velociraptor," my publisher, "Sweatshoppe Publications" has decided to give all of those who haven't read my first book yet a chance to read it free of charge! 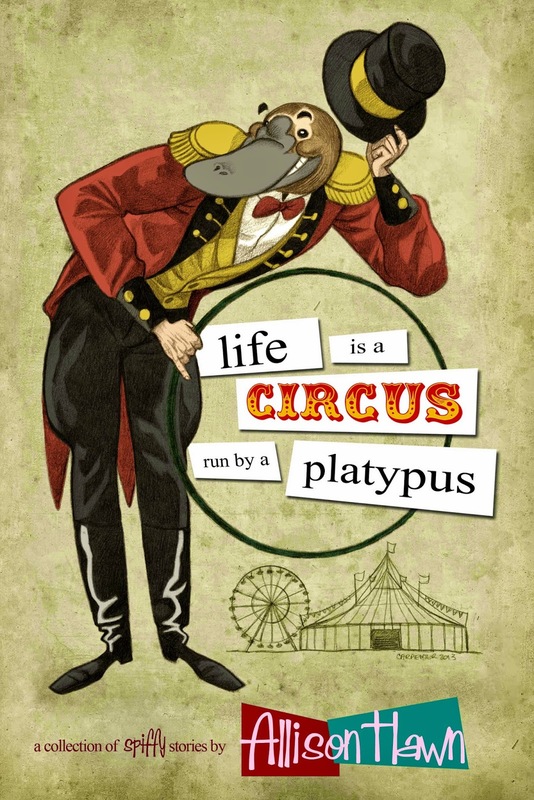 That's right, until August 26th, "Life is a Circus Run by a Platypus" for the Kindle will be absolutely free! So head on over to Amazon and snag a copy during this awesome promotion! If you happen to enjoy the book, do me a favor and drop me a quick review to let other readers know how much fun you had reading it! Don't forget to keep up to date on all of the news on my upcoming book "Life is a Pirate Ship Run by a Velociraptor" on Facebook, Twitter and Goodreads!!! A Sneak Peek (with Dinosaurs)! You Can't Cage A "Free Spirit"